Discussion in 'Kingdom Hearts Unchained χ' started by tamale, Apr 7, 2016. I'm Tale, from the Ursus Union. I'm guessing you only just got recruited to one of the Unions? Sounds to me like you're going to want to find some friends to hang around with. Lucky for you, I've got just the solution! 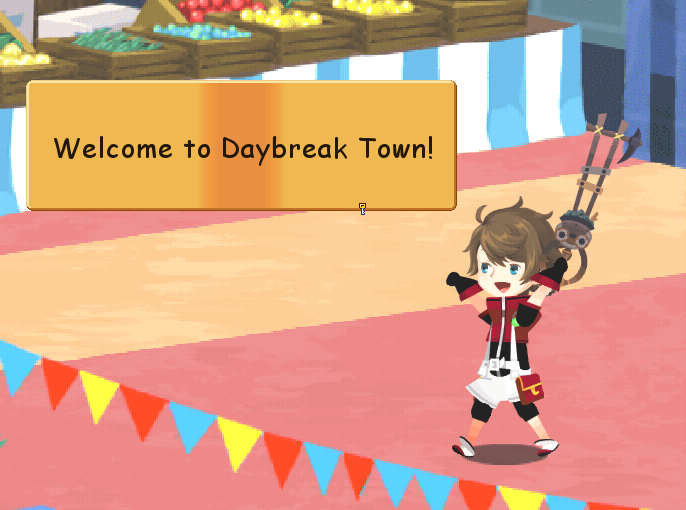 See, within your Union, you can join a Party of other Keyblade wielders! You can fight Raid Bosses with them, share Medals with them, and share rewards with them from tough missions. And you don't even need to all be online at once! It makes things a lot easier and a lot more fun! Sound like something you might be interested in? Awesome! 'Cause we've organized some Parties specifically for all of you! I'm the leader of KHV_Ursus! @Fearless over here is the leader of KHV_Vulpeus, @KHGrl15's heading up KHV_Unicornis, @Explode's got KHV_Anguis, and @Scarred Nobody has KHV_Leopardos! To find us, head on over to your Party Menu (it's under Other in the Menu), and go to Join Party! From there, you should be able to sort through all the Party listings until you see the KHV Party for your Union. Just ask to join, your Party leader will accept you, and voilà! You're in! The Parties are all set to Core difficulty--not too easy, but not too hard. Oh, and be sure to tell us your Player ID number in here, so we know to look out for you! EDIT: Since concerns have come up about scrolling through all the Party listings or otherwise being unable to find the Parties, please instead simply post your Player ID numbers and in-game usernames so that the Party leaders can add you manually from their menus! If you decide to change your Union, that's fine! Just let us know in here if you change Unions so that you can be added to the proper party and so that we have a record of which Union you're in. A week from now, once you've gotten used to how things work around here and in your Parties, we've got some more Party fun and some glam planned for you... So keep an eye out, y'hear? I appear to be among the @Cat~ -allied folk. I'm so sorry tale! I was actually having trouble picking between Urses and Vulpeus. I didn't mean to leave you all alone when I chose the latter union. Go to where you have your best possible medals equipped. There is an orange button that says "share". This isn't "share to Facebook" like you may assume, but in actuality, your card will show up to others in your union or your party to use in quests. Now instead of providing 1 star Donald's, you are providing medals of high caliber. As you can see, Joseluis has done this and given me a very useful card. Even if you already knew this information, remember to change your shared medals whenever you level them up. To add to this, if you're in a party with someone, you'll always have access to their shared medals. The medals of people in your party will appear at the top of the list. They're all as good as eachother pretty much. Some are better for certain medal types as they have more boosts, such as the Treasure Trove for power medals. I'll be sure to join one of these whenever the damn thing is available to people in Australia. Can't believe they made ANOTHER kh game unavailable to us while you guys have it.